With 2017 lurking just around the corner, there has been a slight uptick in books published about the United States’s involvement in the First World War. Which is kind of funny–for me at least–because WWI is one of the forgotten wars in American public memory (the others are the Spanish-American War and the Philippines War). You can say Lexington and Concord, Gettysburg, Normandy, Seoul, Saigon…and images and associations immediately flood your brain. Meuse-Argonne, Cantigny, and Belleau Wood mean nothing, except perhaps assuming they are places in France. The 1st Division of the AEF captured Cantigny and ably defended itself against German counterattacks, thus proving that the Americans could hold their own weight. 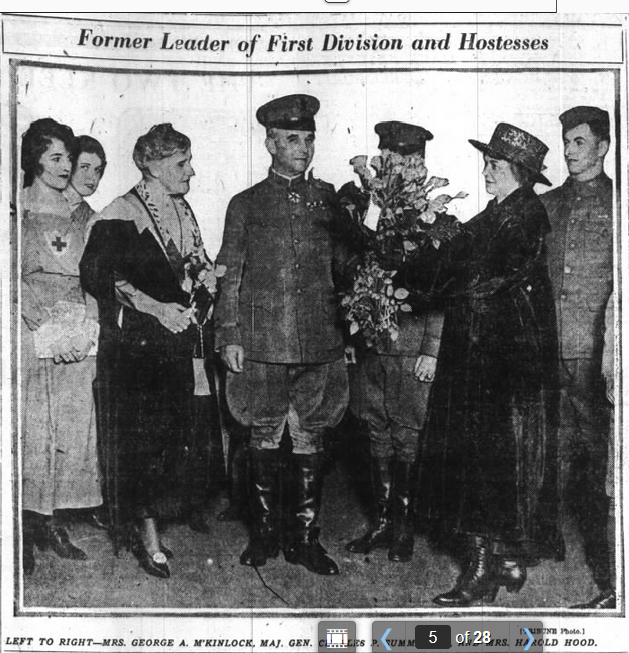 News of the AEF’s first successful action in the Great War filled the newspapers back home, and after the war, as Davenport stated, “Cantigny Day” was celebrated alongside Memorial Day during the 1920s and 1930s. So as you’re commemorating the veterans of America’s wars on Monday, don’t forget to think about the 1st Division on May 28th! If you’re in the Chicago area, stop by the First Division Museum at Cantigny Park, which was founded to commemorate the division by Colonel Robert R. McCormick, publisher of the Chicago Tribune, who fought with the division in the First World War.